Hull KR skipper Ben Galea has reversed his decision to retire at the end of the current season, but has confirmed he will not remain at Craven Park. The 34-year-old had made public his retirement last month after he was told there would be no new contract offer from the Robins. "I would like to let everyone know that I have decided not to retire," Galea posted on Twitter. 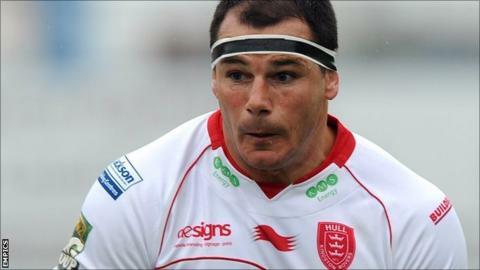 "Unfortunately I won't be with Hull KR," he added. Galea, captain under Craig Sandercock this season, had expressed his desire to continue his career prior to announcing his retirement. There has been speculation in the local press following Galea's social networking message that he could join former West Tigers associate Peter Gentle across the city at Hull FC. Saturday's trip to London Broncos is Galea's final appearance in the red and white, and ends an association with Rovers that began on his arrival from NRL side Tigers in 2007. He had 111 Super League outings for the club prior to the game at the Stoop.